Started from a pure passion for sweets, this local small business started in a small kitchen by two self-taught friends. 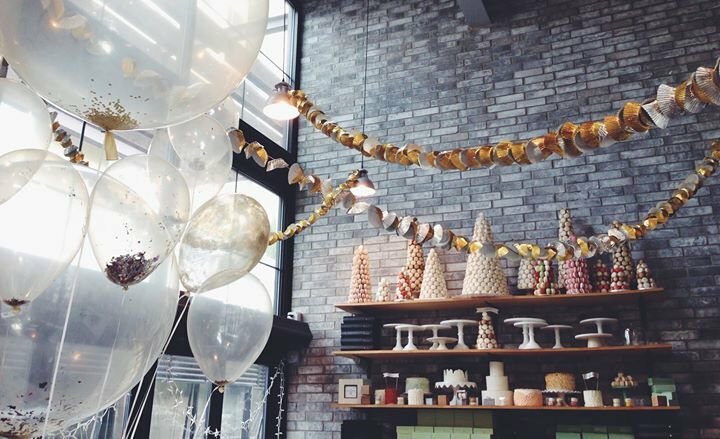 From years of catering to small parties, weddings and farmers markets, SWEET is now a small shop in CityCentre offering a quaint urban refuge, designed and put together by local artists. SWEET offers a variety of 100% home-made gourmet cupcakes, coffees, teas, espresso, tapioca, macarons and cookies - all made in house with natural ingredients. Baked fresh daily, SWEET uses the finest ingredients from local farmers and producers which are, whenever possible, organic and sustainable produced. SWEET strives to inspire eco-awareness through the use of eco-friendly products whenever and wherever possible. Cupcakes are baked in unbleached liners, corn cups are used for teas, recycled cups for coffees and recycled paper for all packaging. All of SWEET's furniture is vintage and wood fixtures and glassware are 100% recycled. Taking joy in simple, yet fine sweets while supporting everything local and eco-friendly is what SWEET is all about.